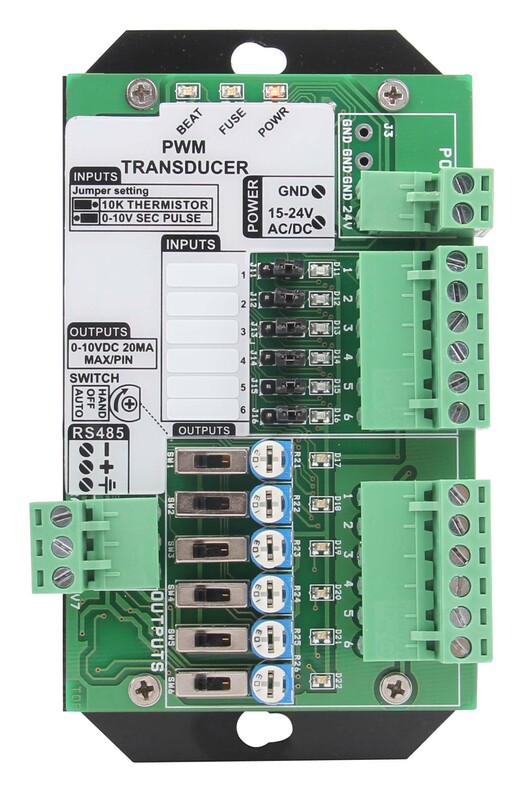 PWM Input to Voltage Output Transducer - Temco Controls Ltd.
Converts relay outputs to analog outputs. Use with PLC’s to manage modulating dampers, valves and VFD’s. 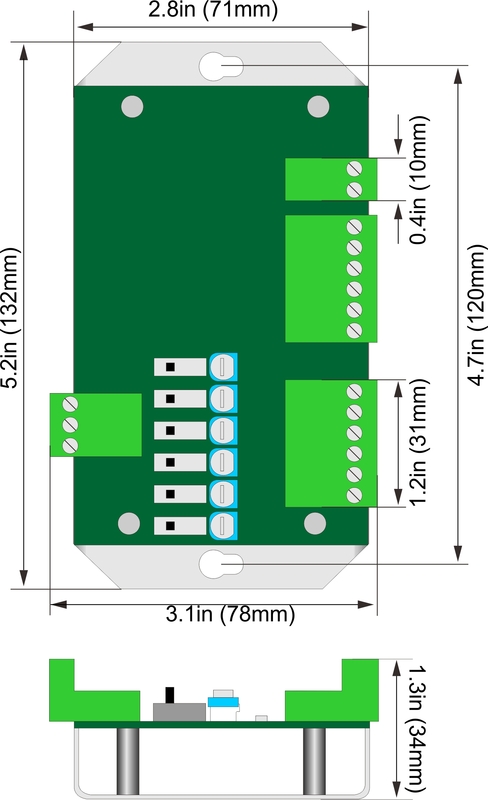 Use as generic Modbus/bacnet i/o for integration with popular DDC systems. 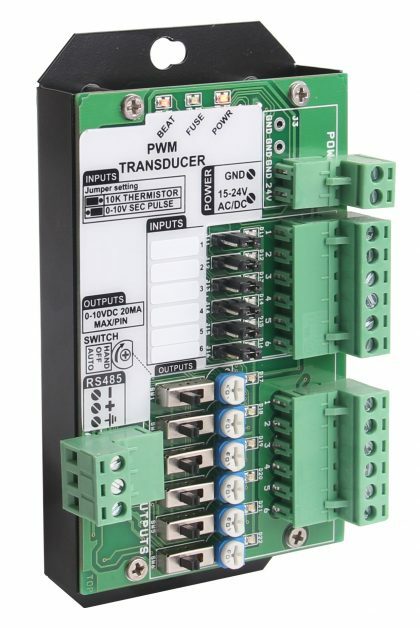 The PWM Transducer Volts allow controllers with only relay outputs to connect to field devices such as modulating dampers, valves and variable speed drives. The output signal can be modulated with precision of one-tenth of a volt. 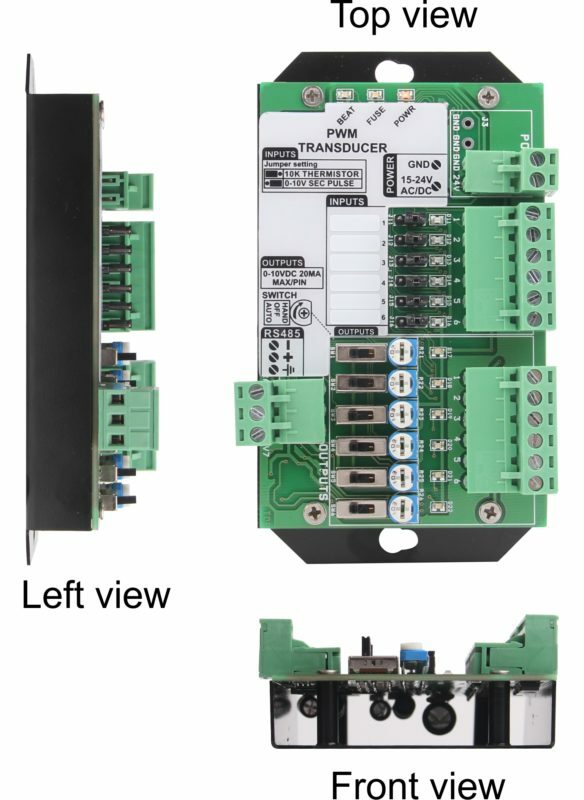 The device has an RS485 port for integrating over Modbus RTU and Bacnet MSTP, all settings and the current state of the inputs and outputs are visible as Modbus registers or Bacnet objects. Each output has a manual hand-off-auto switch which allows the installer and building operator to override the software settings for field testing and overrides. The voltage which is output in manual mode can be adjusted when in manual mode so you can effectively command the output to any state from fully open to fully closed using the hand-off-auto switch and potentiometer.